Los Angeles Fire Department, California Highway Patrol, the Red Cross, and Los Angeles County Sheriff’s Department are assisting with evacuations due to the rain and damage from the recent fires in the #CreekFire and the #FishFire areas. 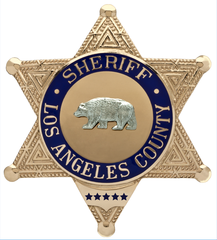 Deputy personnel and support staff from various Los Angeles County Sheriff’s Department stations are working to evacuate residents and assist with road closures due to the heavy rains and possible mudslides in various locations. #CreekFire Mandatory evacuations are issued for the following areas to approximately 300 residents: Kagel Canyon, Lopez Canyon, and Little Tujunga Canyon. Paxton Street at Lopez Canyon Road, Kagel Canyon Road at East/West Trail, Little Tujunga Canyon north of the California Polo Club, and Placerita Canyon Road at Sand Canyon Road. #FishFire Mandatory Evacuations in the area of Brookridge Road and Mel Canyon Road, in the city of Duarte regarding flash flood / mud and debris flow mandatory evacuations to approximately 400 residents. 1. Greenbank Avenue north of Conata Street. 2. Mel Canyon Road north of Fish Canyon Road, including Opal Canyon Road and Brookridge Road. 2. Brookridge Road at Tannercrest Drive. * All road closures are in effect until 7:00 p.m. Coordinated Agency Recovery Effort (CARE) is available for communities and areas affected by the burn areas, heavy rain and possible mudslides. CARE, a multi-agency public outreach program committed to providing timely recovery and safety preparedness information following the recent heavy rains. This especially relates to the areas affected in the #CreekFire and #FishFire areas. CARE includes the Los Angeles County Sheriff’s Department, Los Angeles County Department of Public Works, Los Angeles County Fire Department, and many other agencies.